Kolkata: BJP leader Mukul Roy has secured an anticipatory bail in the defamation suit filed against him by Trinamool MP and Mamata Banerjee’s nephew Abhishek Banerjee. 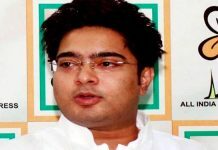 Abhishek had filed the defamation suit on 27 November over Roy’s claim that state-government promoted Biswa Bangla and Trinamool’s mouthpiece Jago Bangla are registered in the name of Abhishek. Roy had hurled the allegations during a public meeting in Kolkata on 10 November. 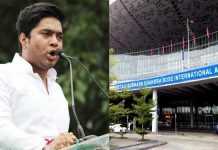 “I will produce documents from the Union corporate affairs ministry to prove that Abhishek owned Biswa Bangla, and the trademark for Jago Bangla is also owned by him. In his affidavit at Alipurduar court in north Bengal, he has claimed that he filed the ownership applications with Mamata Banerjee’s full knowledge,” Roy said. 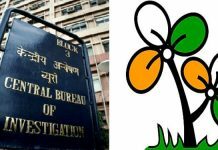 “Mamata Banerjee has said in the state Assembly that she has given Biswa Bangla logo to the state government to be used for free. Now, my question is, if that be the case, how come Abhishek filed ownership claim for the same?” he added. Roy said that he will submit documentary evidence to the court during the next hearing on 30 January.